BAHAHAHHA!! Look at the little guy’s face. Soooooooo adorably sad. That donut would be totally okay, though, if you dipped it in something very hot first — like coffee, say. Don’t dip it in milk though, because milk builds strong bones, and nothing is worse than bony germs. 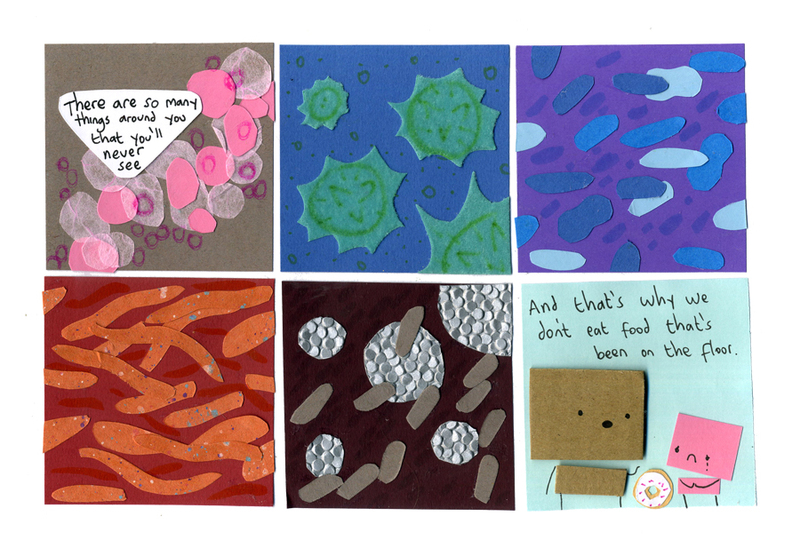 Nah, it should be OK: germs are only made of one cell, so they don’t have bones. What, the five-second rule doesn’t exist across the pond? Thats a huge donut. I think there’s also a rule about not consuming things bigger than your body. Yes, the 5 second rule!